Immerse yourself in the treasures of the Muse Novecento during this 3-hour private tour. Book ahead for guaranteed admission and a learning experience led by a dedicated tour guide as you explore 300 works in 15 modern exhibition rooms. 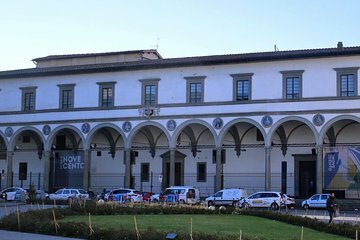 Find your way to the Museo Novecento, located in central Florence. Meet your private guide for a 3-hour tour of the museum's more than 300 artworks, displayed in 15 modern exhibition rooms. Experience works of music, cinema, and literature by artists such as Maurizio Nannucci, Guttuso, Emilio Vedova, Giorgio Morandi and Giorgio de Chirico. During the course of your 3-hour private tour, you'll have the chance to ask questions and let your guide know if you have any special interests or requests.